If seeing the Northern Lights is on your bucket list, scrap that trip to the Arctic. Thanks to a geomagnetic storm — and clear skies — Connecticut residents may see the rare phenomenon this evening. 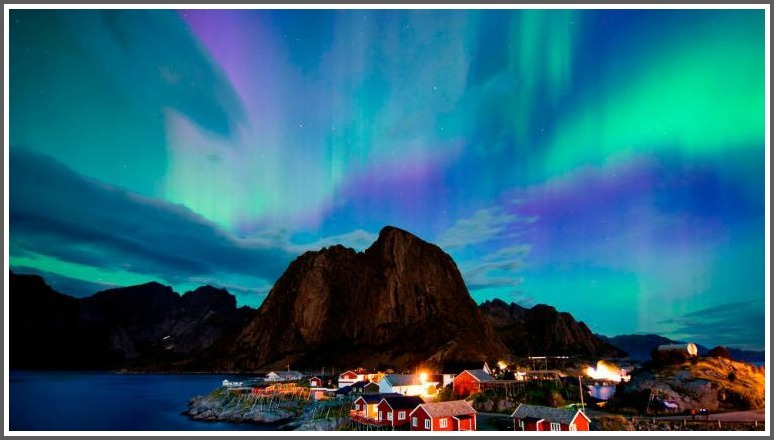 Check out these Northern Lights! The Northern Lights — technically, Aurora Borealis — results from electrons colliding with the Earth’s atmosphere near the North Pole. But — according to NBC Connecticut — our state is on the “very southern fringe” of areas that may be able to see the Lights this weekend. Of course, this is not northern Canada or Scandinavia. Among the many differences: We have plenty of light pollution. So if you’re on the lookout, NBC advises, find a dark area away from street and city lights. This entry was posted in Totally random, Weather and tagged Aurora Borealis, Northern Lights. Bookmark the permalink. So, I am late to this party (post, LOL), and wondered if anyone actually caught/saw this around the southern CT area this past weekend?